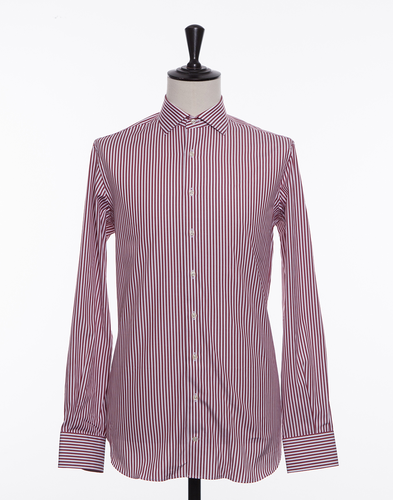 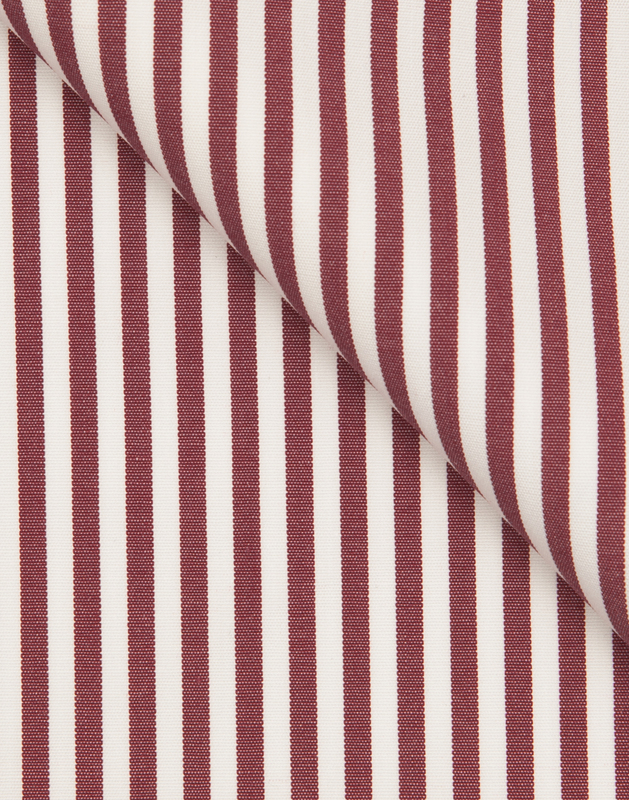 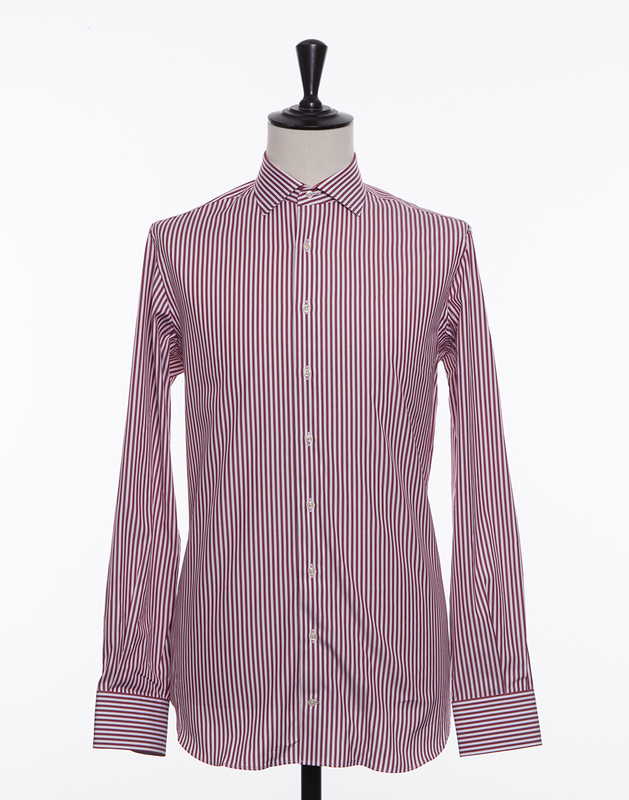 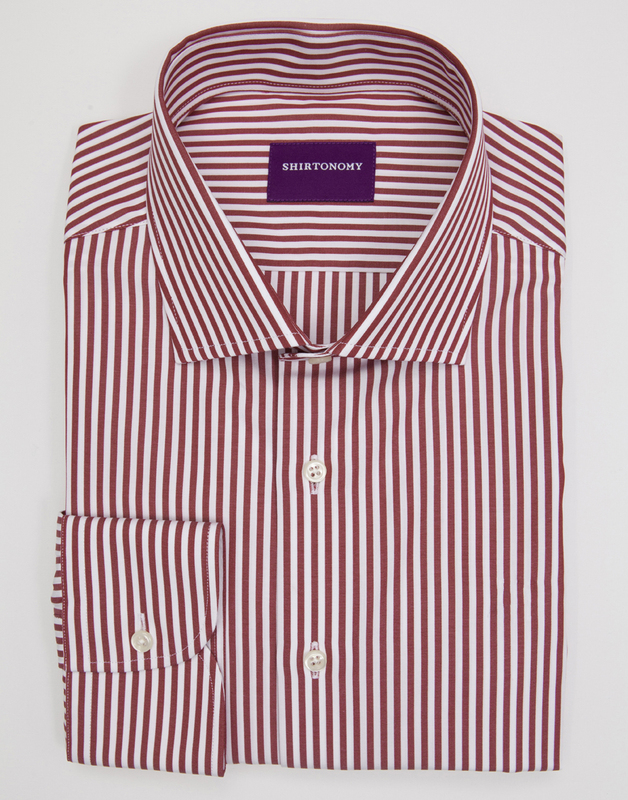 The burgundy Bengal stripe is an interesting alternative to the more conventional ones in blue. 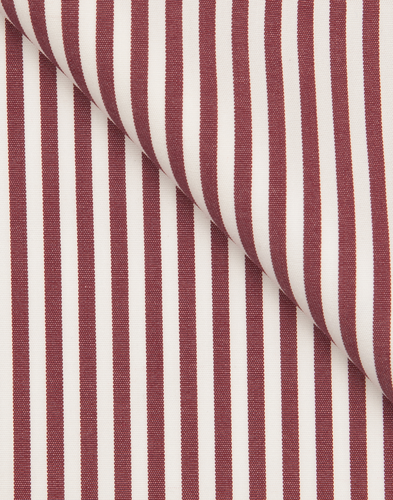 The Bengal stripe gives the fabric a sober appearance and a wide range of use. 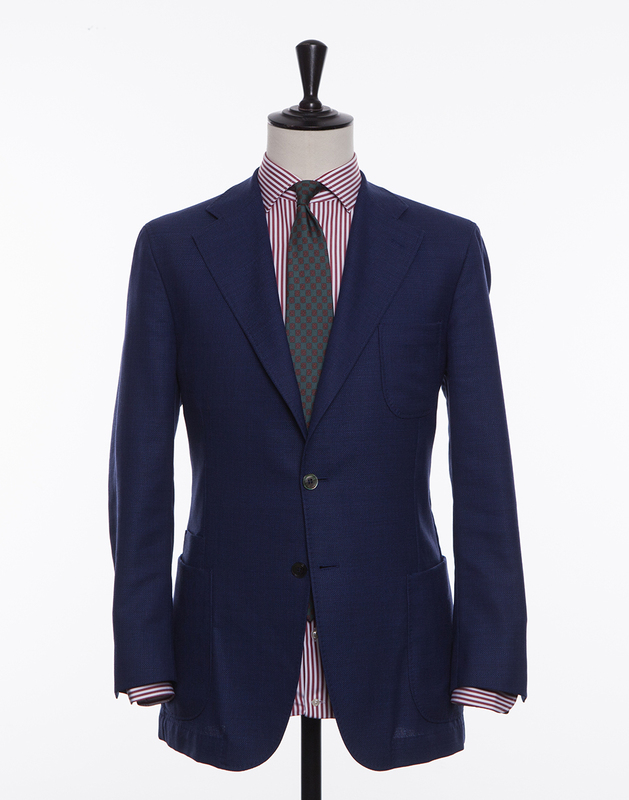 Chose it with a spread or a button down collar, depending on the occasion and personal preference. 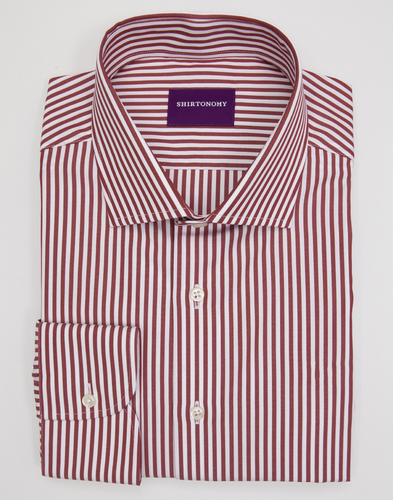 The fabric is woven in Portugal with double twisted yarn and has a good resistance to creases.